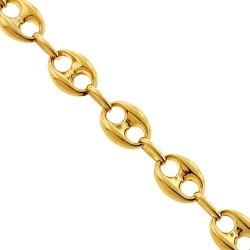 Our handsome mariner link necklace always is a stylish choice! 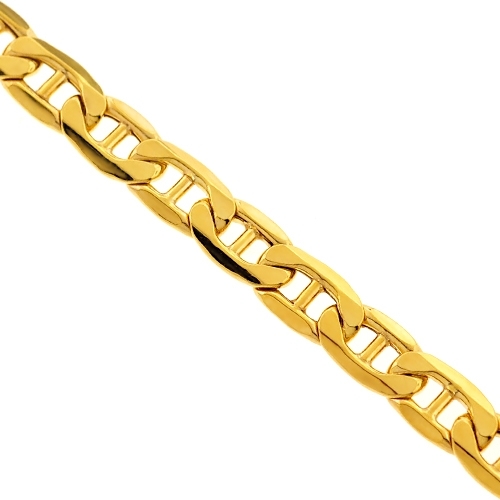 High-quality made of warm 10k yellow gold, it is high-polished for a smooth touch and brilliant sparkle. 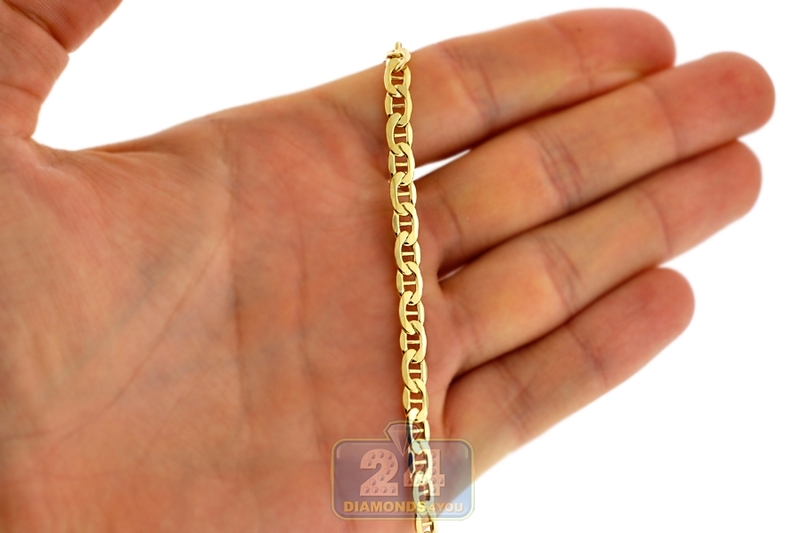 The necklace measures 5 mm in width, and is available in 24, 26, 28 or 30 inches in length. 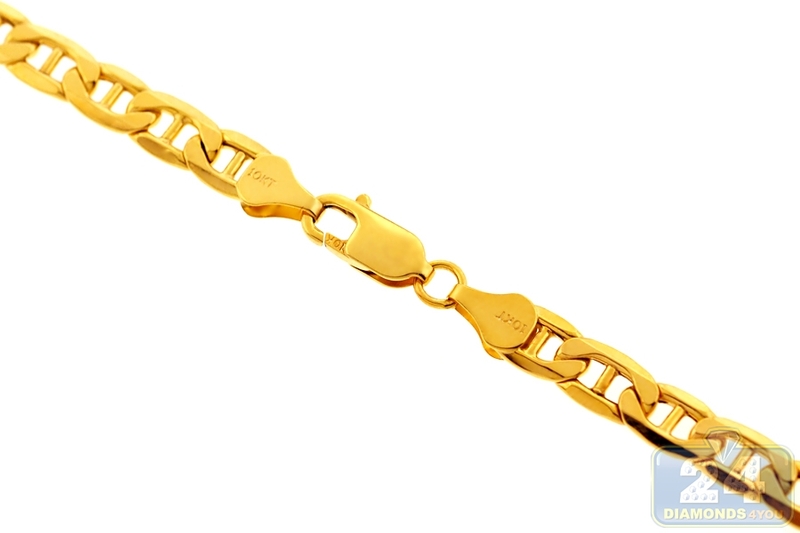 Is is also secured with a user-friendly lobster claw clasp. 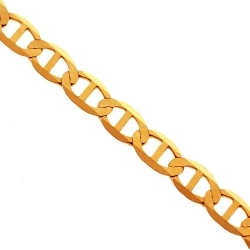 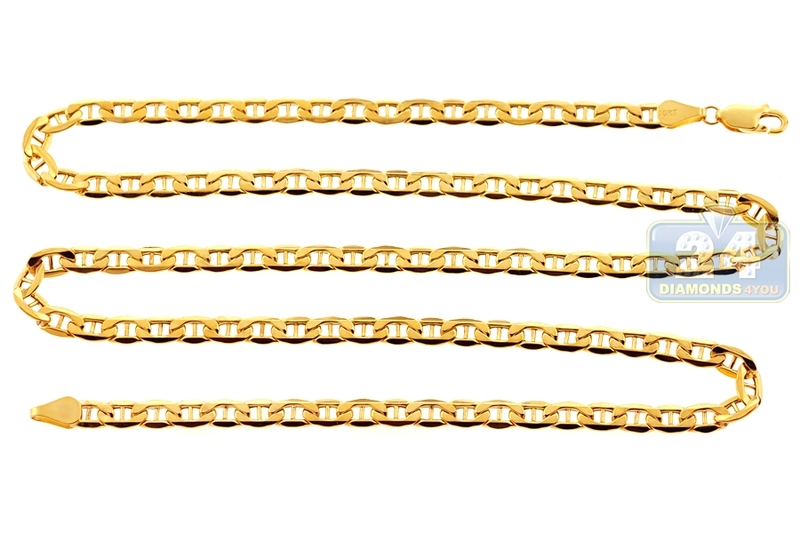 Add this gold chain to your jewelry collection!